Patella luxation is a common problem, especially in small dogs, but it can cause issues in dogs of any size. Also referred to as slip knee, patella luxation can cause issues like cartilage deterioration, inflammation, pain, and even ligament tears. But by knowing how to recognize the signs of patella luxation in a dog and understanding what can be done about it, pet owners may be able to help protect their dog's knees. What Are Luxating Patellas in Dogs? Luxating patellas are knee caps that slip out of the knee groove that they are designed to stay in. The femur, which is the bone in the leg that attaches to the hip, has grooves that the knee cap sits in. With patella luxation, the knee cap slides out of the groove in the leg bone and can be evident in puppies as young as eight weeks old. Sometimes the patella will slip out and then back in, and other times, it will pop out and not want to go back in to the groove. Depending on the type or severity, a dog's patella luxation will be assigned a grade between one and four based on the grading system of the Orthopedic Foundation for Animals (or OFA). Grade 1: The patella is able to be manually moved out of the groove but pops back into place easily with normal leg movement. This is especially common in small breeds like Yorkshire terriers and pomeranians. Grade 2: The patella moves out of the groove in the knee frequently and may cause a dog to hold the affected leg up on occasion but still walks with it. Because of the difficulty in keeping the patella in the groove, trauma in the knee can occur over time. Grade 3: The patella is permanently out of the knee groove and the tibia, one of the lower leg bones, is twisted and the groove where the patella should sit is very shallow. Grade 4: The patella is permanently out of the knee groove, which is non-existent or convex instead of concave. The dog will hold the leg up or limp. A dog with a patella luxation will most often limp or hold up the affected hind leg when walking. They may also be reluctant to attempt to put weight on the leg with the luxating patella. Sometimes the knee cap is able to be visualized moving back and forth in a dog, but usually, a luxating patella is felt rather than seen. If a chronic luxating patella has caused knee trauma over time, a dog may show signs of pain in their knee. Crying, licking at the knee, and an unwillingness to walk on the affected leg are good indications that a dog's knee is painful. Almost all dogs diagnosed with luxating patellas were born with a defect in their knee. It may not become apparent until later in life, but the OFA suspects that most dogs have inherited this problem. The other cause of luxating patellas is trauma. A dog that was hit by a car or had some other sort of injury affecting their knee could develop a patella luxation. 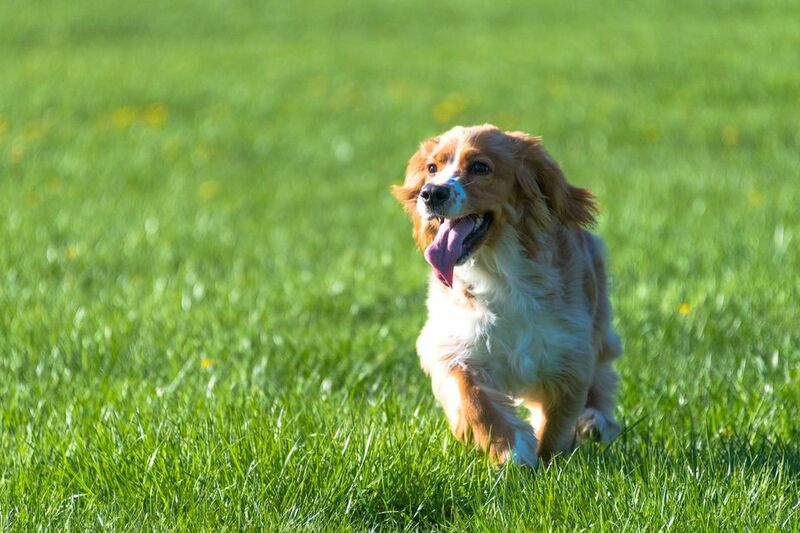 Depending on the severity of the patella luxation, your veterinarian may recommend that surgery be performed to deepen the groove that the patella sits in. This will keep the patella where it should be in the knee and prevent it from slipping in and out of the bone groove. Since this is a major procedure, if the patella luxation is only a grade one, surgery may not be discussed or recommended right away. If a dog with patella luxation is showing signs of pain, has developed the luxation due to knee trauma, or is unable to walk, then surgery will be needed to correct the problem. While there is no way other than surgery to correct a patella luxation, you can support your dog's knee health through the use of joint supplements. Supplements can help keep the cartilage stay healthy and decrease inflammation in the joints, so even if a dog only has a grade one patella luxation, it's a good idea to do what you can to help support their knees. Other than doing what you can to prevent a major trauma, like getting hit by a car, from occurring to a dog, the only real way to try and prevent luxating patellas is to avoid using a dog with known patellar luxation for breeding purposes. Since most luxating patellas are thought to be inherited, it is more likely for a dog to have luxating patellas if their parents did.